We write on behalf of the Middle East Studies Association of North America (MESA) and its Committee on Academic Freedom to express our grave concern about your decision to impose disciplinary sanctions against Professor John Cheney-Lippold of the Department of American Culture because he rescinded an offer he had made to write a letter of recommendation for a student that would be used to support her application for a study-abroad program in Israel. As a result of your action, Professor Cheney-Lippold will be ineligible for a salary increase for the current academic year and his sabbatical eligibility and credits will be frozen for two years. We regard your decision to punish Professor Cheney-Lippold for acting on the basis of his convictions and exercising his discretion as a faculty member as a distressing and dangerous violation of his academic freedom. MESA has taken no formal position either for or against the BDS campaign, but in keeping with the principles of academic freedom and the constitutionally protected right to free speech it is committed to vigorously defending the right of faculty and students to advocate for or against it. We regard your decision to arbitrarily impose disciplinary sanctions on Professor Cheney-Lippold, without affording him any opportunity to explain or justify his action in a fair hearing process with faculty participation, as having violated those principles and that right, as well as your university’s ostensible commitment to faculty governance. Your justifications for taking disciplinary action against Professor Cheney-Lippold are unconvincing, if not tendentious. You assert that by declining to write a letter Professor Cheney-Lippold denied the student in question an academic opportunity, but of course providing such a letter is no guarantee of admission to any program. Nor do your claims that Professor Cheney-Lippold violated the student’s privacy and that he used class time to discuss his decision not to provide the student with a letter provide reasonable grounds for the grossly disproportionate sanctions you have imposed on him. More broadly, we believe that it should be entirely up to a faculty member to decide whether or not he or she wishes to write a letter of recommendation for a student, unless it can be clearly demonstrated that a refusal to do so was motivated by racial, ethnic, religious or gender bias. We call your attention in this regard to “On the Relationship of Faculty Governance to Academic Freedom,” issued in 1994 by the American Association of University Professors, which states that “[p]rotecting academic freedom on campus requires ensuring that a particular instance of fac­ulty speech will be subject to discipline only where that speech violates some central principle of academic morality, as, for example, where it is found to be fraudulent (academic freedom does not protect plagiarism and deceit).” Professor Cheney-Lippold’s decision not to write a letter of recommendation was entirely his to make and certainly violated no principle of “academic morality.” We do not see it as acceptable for deans, university administrators, or members of boards of trustees or boards of regents to arrogate to themselves the right to define the boundaries of academic freedom, which is what you have done in this case. We further note that article 601.01 of the University of Michigan’s Standard Practice Guide, on freedom of speech and artistic expression, states that “Expression of diverse points of view is of the highest importance, not only for those who espouse a cause or position and then defend it, but also for those who hear and pass judgment on that defense. The belief that an opinion is pernicious, false, or in any other way detestable cannot be grounds for its suppression.” Professor Cheney-Lippold clearly acted on the basis of sincerely held convictions about an issue of public concern, and your decision to sanction him constitutes a clear violation of the letter and spirit of this article. 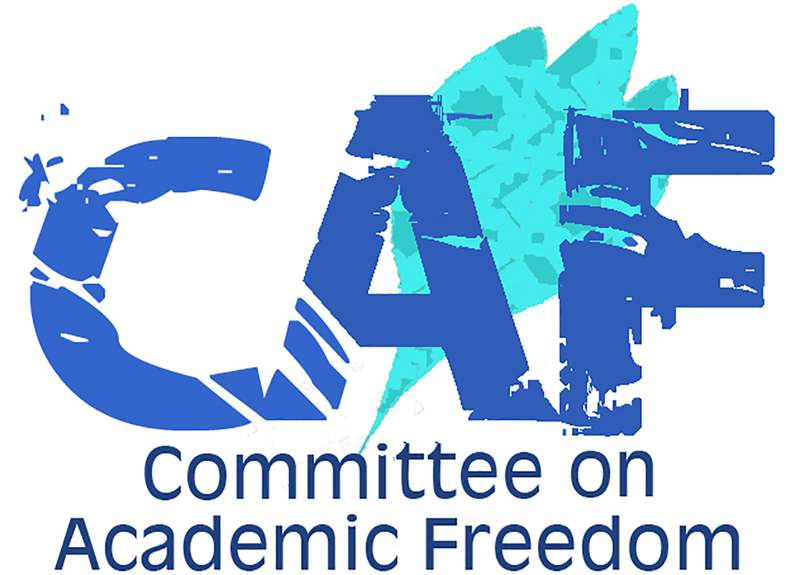 It is moreover an infringement of his academic freedom and of the right of faculty to decide for whom they wish to write letters of recommendation. We therefore call on you to immediately rescind your decision to impose disciplinary penalties on Professor Cheney-Lippold and to publicly reaffirm the University of Michigan’s commitment to respect, and vigorously protect, the academic freedom and free speech rights of its faculty.